Contractors - Earn Cash Back! 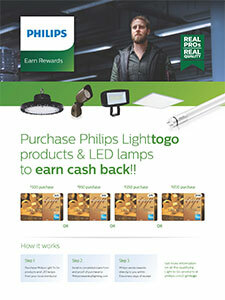 Purchase Philips Light-to-Go products and LED lamps to earn cash back! Step 1: Purchase Philips Light-to-Go products and LED lamps from us!